This trip was a Mother- Daughter Adventure! We can both check it off our bucket list now. It was everything we were hoping for. 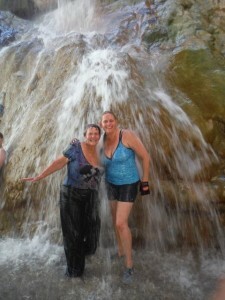 We were both looking forward to seeing the Travertine Grotto waterfall. It was quite the climb but worth it once we got there and could enjoy the nice temperature of the water. We loved all of the Western River guides. They were quite helpful with my mother, due to a bad knee. She was not in the best shape for this trip but the guides and everyone on the trip were very helpful. We Thank you!